The Canvas by Instructure app helps students and instructors access their courses and groups while they are away from a computer browser. 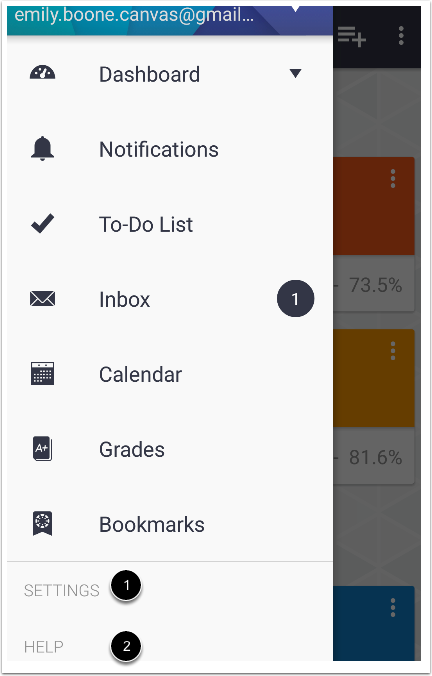 The app provides functionality to view and participate in a course or group, as well as view To-Do items, Notifications, Messages, and Grades. Additionally, users who have an instructor role in at least one course in the account can access SpeedGrader with a quick-access link. 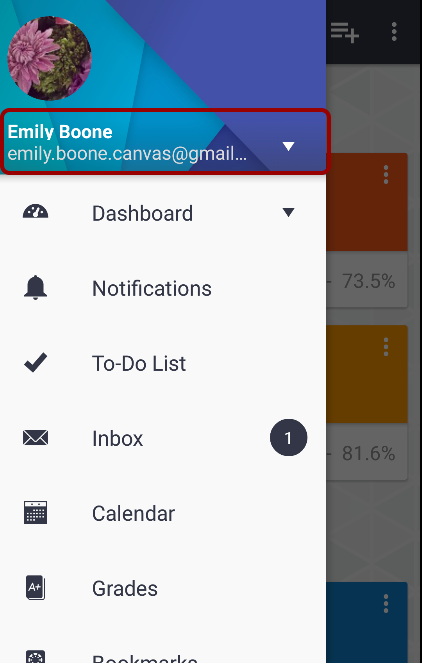 When you log in to the Canvas app, the default landing page is the Dashboard. To view content in the app, use the User Navigation Menu. This menu is located in the action bar and provides easy access to every page in the app. To open the menu, tap the Menu icon. When the menu is open, close the menu by swiping the menu or tapping outside the menu area. The Profile area displays your profile information in the app as well as your user files. To switch to another Canvas account or log out of the app, tap the user account drop-down menu. The Courses link displays all your current courses and groups, including your favorite courses. Courses will also display overall grades in each course. For quick access to a favorited course, tap the courses drop-down menu. The Notifications link gives you an overview of all course notifications such as changes to an assignment due date, newly created assignment, course announcement, or a reply to a subscribed discussion. 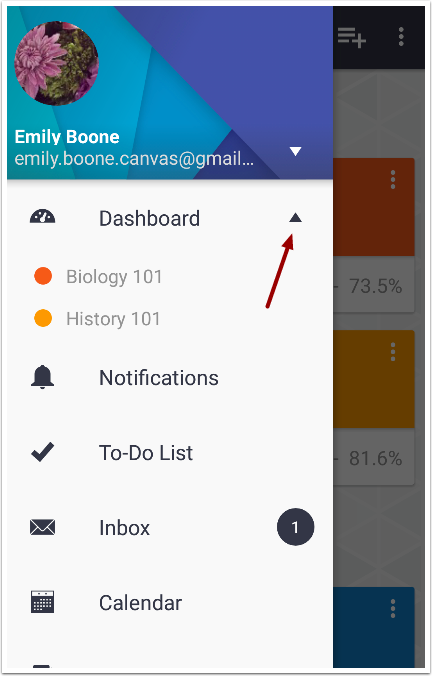 You can also view specific notifications within each of your courses. The To-Do List link gives a quick view of upcoming course activities that have not yet completed. 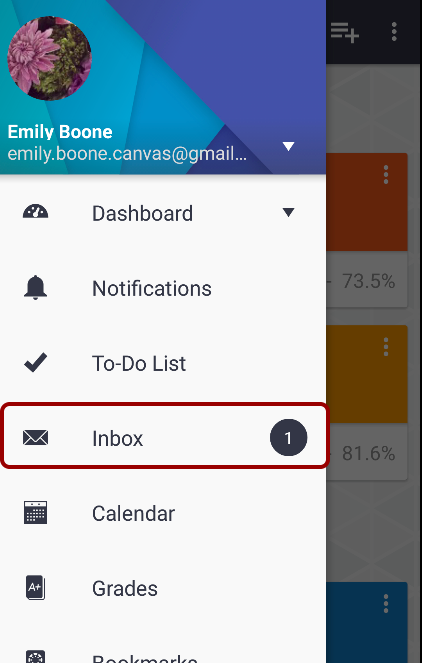 The Inbox link displays all Conversations messages in the Canvas app. 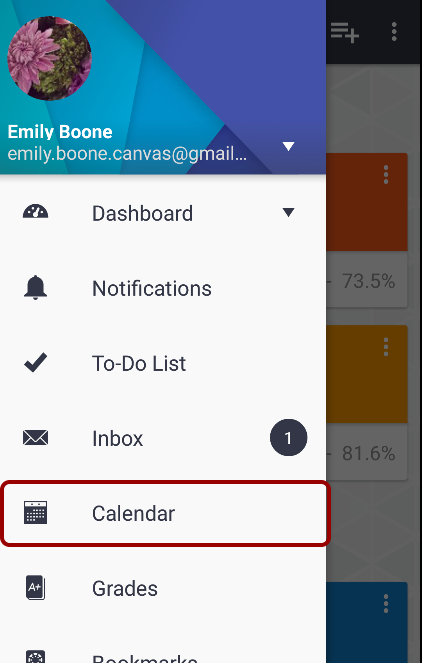 The Calendar link displays events and assignments for your courses and groups. 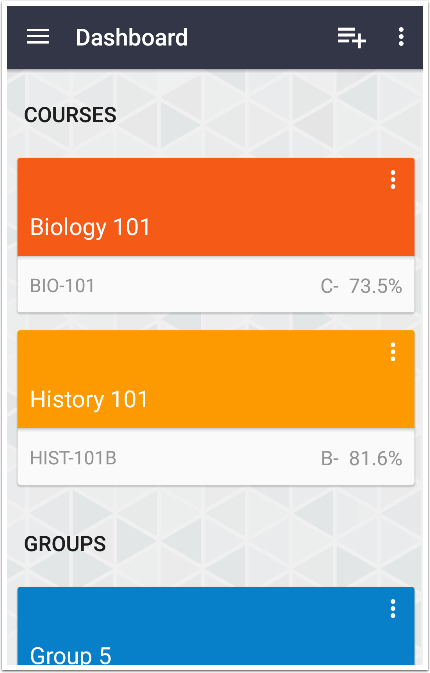 The Grades link displays your overall grade in your Courses. 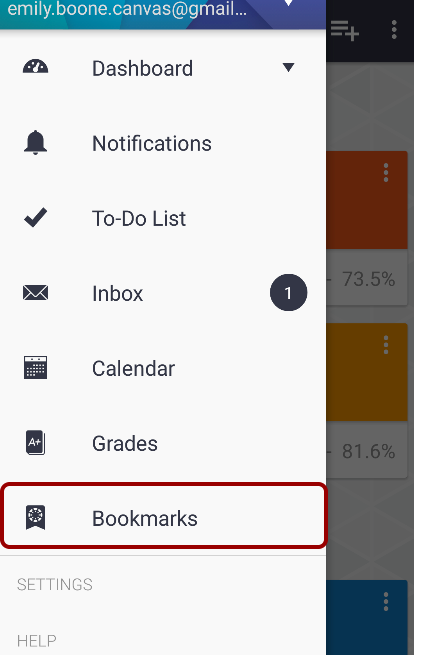 The Bookmarks link will take you to a list of screens you have bookmarked in the Canvas app. Users who have an instructor role in at least one course in the account can view a SpeedGrader link in the navigation menu. This link allows quick access to the SpeedGrader app. However, the Canvas app and SpeedGrader app do not share login information, so instructors must log in to the SpeedGrader app if they are not already logged in. 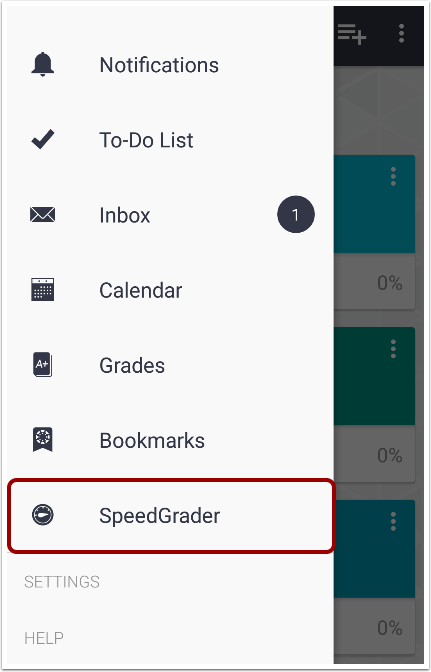 Note: The SpeedGrader link will not appear for instructors unless the Android SpeedGrader app is already installed on your device. In the User Navigation Menu, you can also manage settings  and access help .